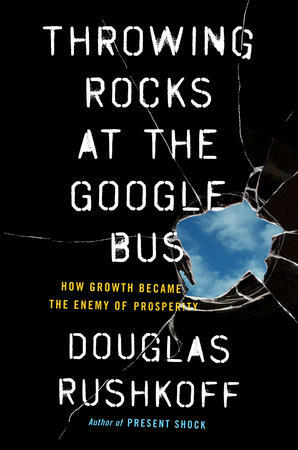 For me, the first two months of this year will be about seeding the world with memes from my upcoming book, Throwing Rocks at the Google Bus: How Growth Became the Enemy of Prosperity, which will be published on March 1. I humbly ask you to pre-order the book or the Kindle. The great thing about publishing a book is that it’s also an excuse to launch a whole lot of different but related ideas in a whole lot of places. So the piece below is about the future of work in a digital economy. The one on Shareable tomorrow is about the Fed. The one for British Air is about Disrupting Disruption. And so on. Plus, I’ll be doing some talks in NY, SF, LA, and Portland. More on those soon. For those of you who don’t read books or leave the house, I’ve also booked some great late night TV (yeah that show). Very psyched to hit mainstream America with the idea that a digital economy can distribute wealth instead of just destroying markets and converting real value into dead assets. More soon. Enjoy this piece. I’ll be back more frequently as I’ve got stuff to share. 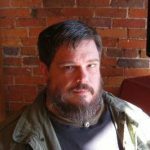 Back in the 1940’s, when computers were completing their very first cycles, the father of “cybernetics,” Norbert Wiener, began to worry about what these thinking technologies might mean for the human employees who would someday have to compete with them. His concern for “the dignity and rights of the worker” in a technologized marketplace were decried as communist sympathizing, and he was shunned from most science and policy circles. Although it may still sound like heresy today, Wiener realized that if we didn’t change the underlying operating system of our economy – the very nature and structure of employment and compensation – our technologies may not serve our economic prosperity as positively as we might hope. It’s time we have the conversation toward which Wiener was pushing us, and challenge some of the underlying assumptions of human employment. The current anxiety over the future of work may be inspired by the increasing processing power of computers and networks, or even the platform monopolies of Amazon and Uber. But it has its roots in mechanisms much older than these technologies – mechanisms set in motion at the onset of industrialism, in the 13th century. Looked at in terms of human value creation, the industrial economy appears to have been programmed to remove human beings from the value chain. Before the Industrial Age, the former peasants of feudalism were enjoying a terrific economic expansion. Yes, in spite of the way they’ve been chronicled by Renaissance court historians, the very late Middle Ages were actually a boom time. The Crusaders had just returned from their global treks, having established trade routes through which the goods of many lands could travel. They also returned with new technologies for agriculture and trade, including the bazaar – a marketplace for the exchange of crafts, crops, grain and meat, which used new financial instruments such as grain receipts and market money. But as the peasants got wealthy exchanging goods and services, the aristocracy got relatively poorer. So they re-established control over the economy by outlawing market moneys and chartering monopolies with dominion over particular industries. So now, instead of making shoes himself, the local cobbler had to get a job at the officially chartered monopoly company. Thus what we think of as “employment” was born – less an opportunity than a restriction on creating value. Instead of selling his shoes, the cobbler sold his hours – a form of indenture previously known only to slaves. Worse, his skills were not valued. The owners of proto-factories saw in industrial processes a way to hire cheaper workers, with less leverage against them. Why hire a skilled craftsman when you can break down the shoe-making into tiny steps, each capable of being taught to a day laborer in 15 minutes? Viewed in this light the Industrial Age may have had no more to do with making products better or more efficiently than simply removing human beings from the value equation, and monopolizing wealth at the top. Automation reduced the economy’s dependence on the laboring classes. Those few tasks that still required humans could go to the lowest bidder – ideally in countries too far away for the human toll to be noticed by potential customers. If we want a digital economy that gets people back to work, we have to program it for something very different. The word digital itself refers to the digits—the 10 fingers – that we humans use to build, to count, and to program computers in the first place. That we should now witness a renaissance in makers, crafts and artisanal production is no coincidence. The digital landscape encourages production from the periphery, lateral trade, and the distribution of wealth. Instead of depending on centralized institutions for sustenance, we begin to depend on one another. Where the corporations of the past depended on government regulation to maintain their monopolies, today’s digital companies do it through the monopoly of the platforms themselves. Today’s digital behemoths are not factories but networks whose embedded programming controls the landscape on which interactions take place. In a sense, Uber is software designed to extract labor and capital (in the form of automobiles) from drivers and convert it into share price for its investors. It is not an opportunity to exchange value so much as to do the R&D for a future network of robotic cars, without even offering a share in the ownership. Thankfully, the remedies are varied. Unlike the one-size-fits-all solutions of the Industrial Age, distributed prosperity in a digital age won’t scale infinitely. Rather, the solutions gain their traction and power by reconnecting people and rewriting business plans from the perspective of serving human stakeholders rather than abstracted share values. Yes, on the surface most of them sound idealistic or even socialist, but they are being tried by companies and communities around the world, and with documented success. Among the many I explore in my upcoming book on the subject are letting employees share in increased productivity by reducing their workweek — at the same rate of pay. Or contending with overproduction by implementing a guaranteed minimum income. Or retrieving the Papal concepts of “distributism” and “subsidiarity,” through which workers are required to own the means of production, and companies grow only as large as they need to in order to fulfill their purpose. Growth for growth’s sake is discouraged. Many companies today – from ridesharing app Lazooz to Walmart competitor WinCo – are implementing worker-owned “platform cooperatives” to replace platform monopolies, allowing those contributing land or labor to an enterprise to earn an ownership share equal to those contributing just capital. Finally, distributing the spoils of distributed technologies means accepting the good news: there may simply be fewer employment opportunities for people. We must remember that employment may really just be an artifact of an old system – the reactionary move of a bunch of nobles who were afraid for people to create value for themselves. Once we’re no longer conflating the idea of “work” with that of “employment,” we are free to create value in ways unrecognized by the current growth-based market economy. We can teach, farm, feed, care for and even entertain one another. 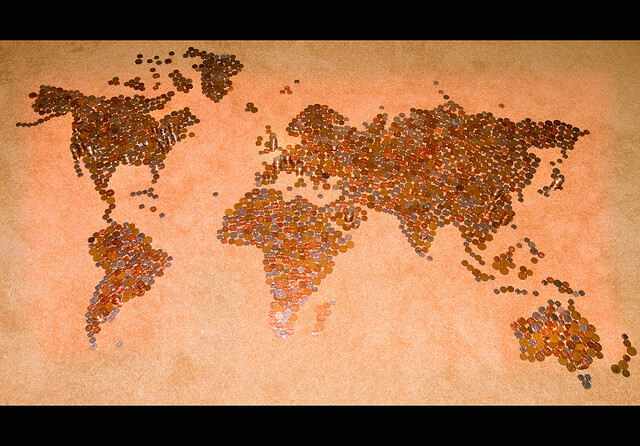 The work challenge is not a problem of scarcity but a spoil of riches. It’s time we learn to deal with it that way. 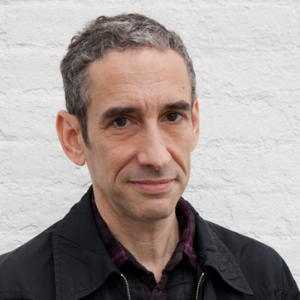 Douglas Rushkoff is Professor of Media Theory and Digital Economics at Queens/CUNY, and the author of “Throwing Rocks at the Google Bus: How Growth Became the Enemy of Prosperity’’ (Portfolio, March 2016). Very nice. One quibble: Ownership of the platform *is* a government regulation, since it depends on “intellectual property” to enforce.